Sometimes the sky’s not your limit. You’re not looking to become a Hollywood star. You simply have to be The One in your field of expertise and even more so if your talents warrant it. What could be more satisfying – and ultimately more rewarding – than becoming the ‘go to’ person in your particular market? But how do you go about it? There’s just one answer to that – become outstanding. It’s not enough to simply be good at the things you do. To have a compelling brand, you need to become both an expert and to convince everyone you’re an irresistible force in your field. That’s the way you stay in the minds of potential clients, past clients and everyone else. When they need your kind of expertise, you’ll immediately come to mind. Don’t say, ‘Well, I’m just not a very exciting sort of person.’ Possibly you’re a little unexciting right now. You’re going to have to work at it, just as the celebrities including the no-talent ones constantly work hard at constructing, practising and maintaining their images. As long as you commit yourself totally to your goal with time on your side, you’re going to become the most exciting, memorable and expert person in your field. People assume that celebrities are better than us at everything. Here’s news for you – they’re not. They are just imperfect as everyone else. They might be better looking, or play golf better or win Oscars, but actually, they’re just like you and me. David Beckham started off by being good at kicking a ball, then had the luck to pair up with Victoria, another go-getter with energy and ambition. Now they have a fashion empire, and they excel at being … famous. Richard Branson demonstrated his business acumen at sixteen by first publishing a magazine and then moving into the mail-order record business. Now he has so many businesses he’s had to take a step back and let others run them for him. 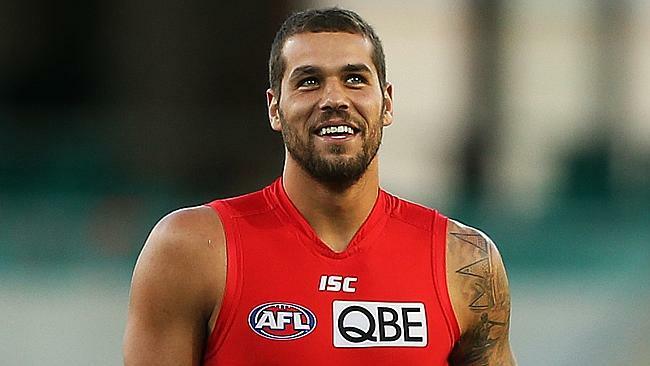 Lance ‘Buddy’ Franklin, AFL footballer and Sydney Swan favourite. is another great example of single-minded determination. He showed his skills early, and since winning a sports scholarship at the age of fifteen, he’s never looked back. He’s not an actor, or a singer or an inventor. He’s a footballer, and he’s good at it. The only difference between them and you is that they’ve worked their socks off to be the best in their field. They’re mostly good at just one thing and then leveraged the hell out of it. Lance ‘Buddy’ Franklin – AFL Footballer, Sydney Swans. That’s what makes your goal so attainable. The only thing you have to do to in order to demonstrate your capability is to let everyone know about how good you are in your particular field. Your capability is your personal brand, and your personal brand is what you demonstrate to your public and your potential clients. No matter whether you’re a project manager or a scientist, an orthodontist or an engineer, your brand should place you at the top of your field in your locality, your state, or all of Australia…. and if you are really brave the world. Why not? You don’t have to be beautiful or brawny or know someone influential…. although knowing influential people does open doors. 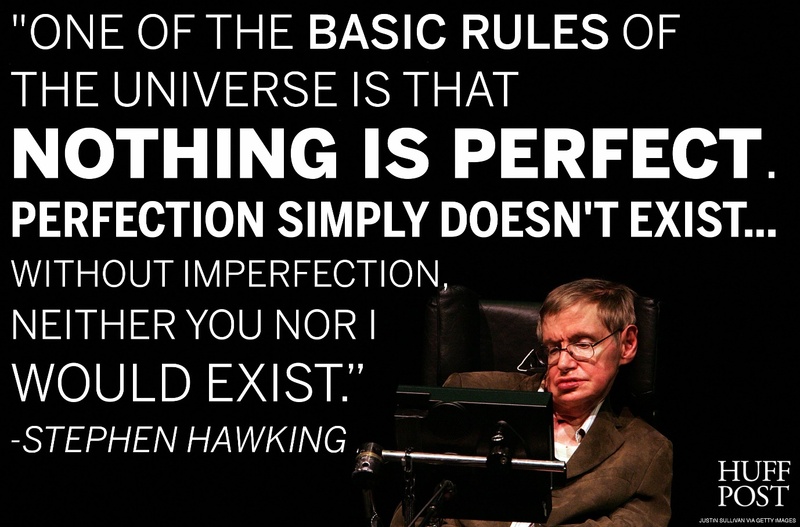 Steven Hawking has had to overcome trials that would stop most others in their tracks. Even as his health deteriorated, his work in the fields of quantum mechanics increasingly won him awards and plaudits. He’s an inspiration – and the perfect example of someone who determinedly forged his own path no matter what life threw at him. He recently also trademarked his personal brand to first protect and secondly leverage his good name, creating new possibilities in the process. Don’t be dissuaded by people that say it can’t be done. How would they know? Take a good honest look at yourself. What do you do best? What do people like about you and your business? What makes your skills unique? What are your passions? What knowledge can you share with others? How can you offer solutions that take away peoples pain points? These are the keys to your personal brand, so make the most of them. Communicate them loudly and proudly. That’s a great start to it. Make yourself memorable, if you don’t who will?. You have the skill, the determination and the capacity for hard work to make it real. If you need professional help along the way get it, get it… and most importantly go for it because you have much to gain. What are your personal pain points? Can we help?